These premium quality jigs have been much copied over the years and they are still our number one seller. You will find this little bit of provocative coloring and additional flash in the water really tickles the palate of your favorite game fish. This teardrop style head has a forward weight distribution that allows good tracking when retrieving and falls quickly when jigged. 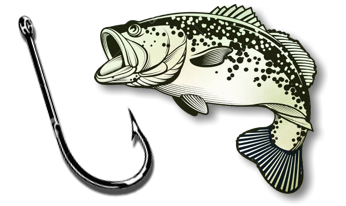 The Jiggin Minnie is a lead blade bait that is much copied and used throughout the Midwest for Walleye, Sauger, White Bass, Bass and Northern Pike. 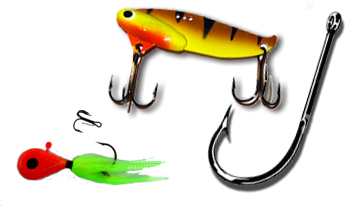 Miller Wobbler is one of the first “weedless” products on the market. It was developed during the late 30’s and is very popular to this day. This lure was designed over thirty years ago and is widely recognized as the top fish catcher of all time.